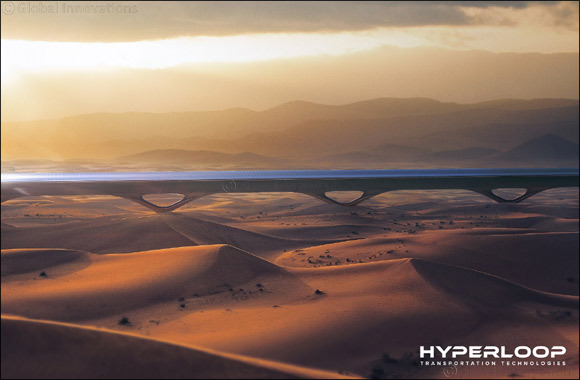 HyperloopTT becomes the first company to be able to offer introduce an insurable and viable regulatory solution for a commercial system. 19 September 2018, Abu Dhabi, UAE: -- Hyperloop Transportation Technologies, leading testing, certification and inspection company TÜV SÜD, and Munich Re, one of the world's leading providers of reinsurance, primary insurance and insurance-related risk solutions announced today the creation of the first set of Hyperloop core safety requirements and certification guidelines along with the first insurance framework for HyperloopTT worldwide systems. As construction moves forward at different locations around the world, HyperloopTT has reached key milestones on two of the biggest hurdles remaining for the new transportation system: regulation and insurance. At a private meeting held at TÜV SÜD's global headquarters in Munich, Germany, several of HyperloopTT's partners and stakeholders, together with government representatives, were introduced to the first set of the new guidelines and products. Additionally, a roadmap for joint creation and adoption into a final legal framework for regulating the construction and safe operation of Hyperloop systems was discussed. In attendance were representatives from Ukraine, China, France, and the United States all of whom have existing agreements with HyperloopTT.